A protest by opposition lawmakers against a plan to curb media access to the Polish parliament brought the chamber to a halt and forced the postponement of a key budget vote on Friday. The demonstration began when a lone opposition MP ascended the parliamentary podium with a placard reading „free media” and was excluded from further debate or votes by speaker Marek Kuchcinski, who is from the ruling Law and Justice (PiS) party. 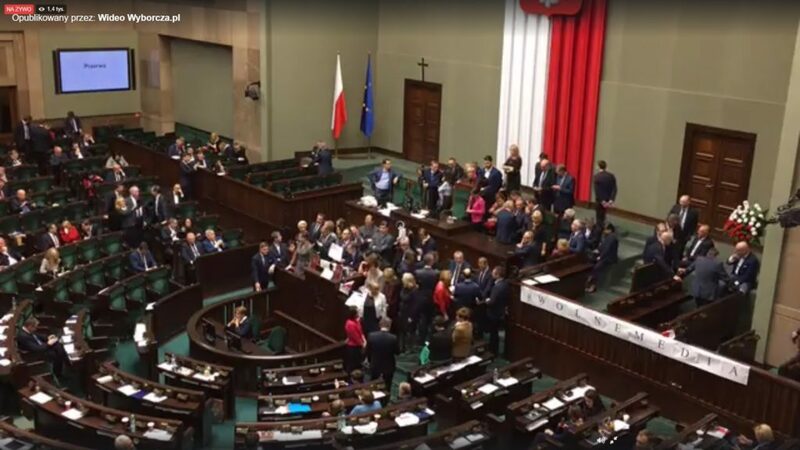 Other opposition members then joined MP Michal Szczerba on the podium, chanting „free media” and „no censorship”, in the first such protest in the chamber for a decade. Rules proposed by the head office of the Sejm, the lower house, would ban all recording of parliamentary sessions except by five selected television stations and limit the number of journalists allowed in the building. They are due to take effect next year. 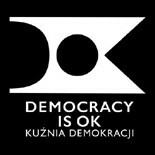 This entry was posted on 16 grudnia 2016 by Bartosz Hlebowicz in English, FB, Z ZIEMI WOLSKIEJ and tagged dictatorship, free media, Kaczyński, Poland.